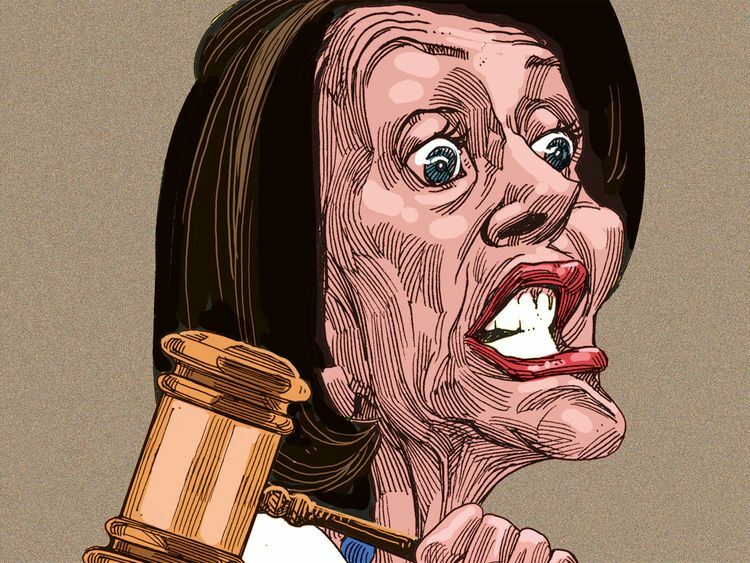 The Speaker of the United States House of Representatives, Nancy Pelosi, knows she has power and knows how to wield it. She can read the national polls showing President Donald Trump’s approval plummeting, and support also diving for using the shutdown to get his wall. She isn’t giving an inch, at least in a way Trump finds meaningful. Trump tried to bully his way into the State of the Union address, writing to Pelosi that he’d be prepared to deliver it next week. “It would be so very sad for our country if the State of the Union were not delivered on time, on schedule, and very importantly, on location!” Actually, most of the country likely would prefer he give it in writing. We know the one who’d be disappointed — infuriated, even — would be Trump. The State of the Union Address is an annual message delivered by the President of the United States to a joint session of the United States Congress. George Washington delivered the first regular annual message before a joint session of Congress on January 8, 1790, in New York City, then the provisional US capital. In 2019 the issue over Trump’s State of the Union address is symbolic of the overall state of the negotiations. Trump blusters, Pelosi calls his bluff. Trump insists his wall is popular, Pelosi knows it hasn’t got 60 votes in the Senate. The proposal, which Democrats are drafting into a formal letter to Trump, will include border security improvements such as retrofitting ports of entry, new sensors and drones, more immigration judges and border patrol agents, and additional technology, among other measures. This presumably would be more than the $1.3 billion (Dh4.78 billion) previously offered. It’s a fig leaf, to be sure, but Trump has staked his reputation on the wall and only the wall. Americans will soon learn if the Republicans in the Senate — who observe protests in their offices — have had enough. If so, Majority Leader Mitch McConnell, will put Trump’s measure on the floor, the House measure to reopen the government and then, perhaps, the newest proposal or some variation. As has been reiterated multiple times, McConnell needs to do his job without a note from the principal ... er, president. Otherwise, both the president and the GOP’s Senate majority go down the tubes. Jennifer Rubin is an acclaimed American journalist and columnist.